Galena Margolis is brilliant. Brilliant – and broken. Body and soul damaged – and then there is her mind. 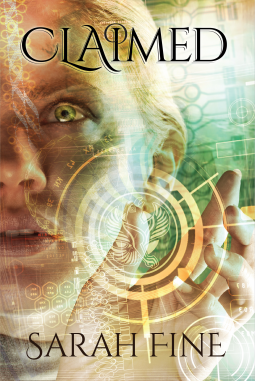 Her brilliant mind, which holds the secrets of a vaccine which could be the salvation of a world flooded and destroyed. We first met Galena in Marked, the first in the Servants of Fate series, when she and her brother, Eli, arrived in Boston from the ‘desert wastelands’ of Philadelphia. The physical world qualifies as a ‘dystopia’ as climate change has destroyed much of the earth, leaving the places that remain changed beyond all comprehension. It is a bad, bad, very dangerous world out there, and Galena is in more danger than she could possibly imagine. Claimed picks up right after Marked, as Galena and Eli find their place, and reach for some sense of stability after Galena’s near death – and Eli’s rise from death. For this isn’t just a dystopian novel – it is a novel of life and death, of change and balance, and of a world where nothing will ever be as it was before. For the Ferrys are real – not just the richest family in Boston, the Ferry family are actual Ferrymen – servants of death who help the dead across the Veil and into the afterlife. Eli’s girlfriend and paramedic partner, Cacy, is a Ferryman, and Galena is someone – something – who could spell the salvation of the world – and someone wants her dead for it. 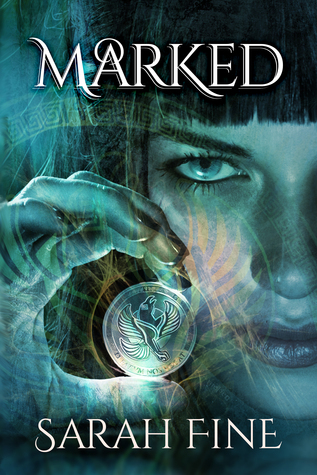 I couldn’t say enough good about Marked, and my love of this series continues with the second installment. Sarah Fine is sharp, mercilessly realistic in a magical world overlaid upon a world destroyed by human angst and self-centred greed, and mightily creative. This is a world of layers – layers of well-developed characters, of fantastical thought processes and creative characters and worlds. I can’t recommend this book highly enough for those who like their books to have more than a single storyline, more than one dimensional characters, just more. I received this book from the publisher in return for a realistic review. I hope you will try the series – I loved it. I’ve heard good things about Sarah Fine… thanks to your enjoyable review, it looks like I’ll have to track down this series. Glad you liked it! I got them through Netgalley but they are both available through Kindle Unlimited for free!